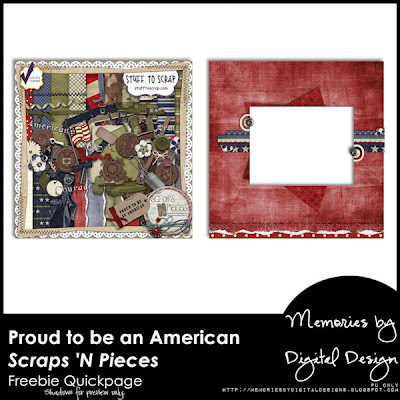 I am more than proud to be an American, and am also proud to introduce the newest kit from Scraps 'N Pieces. Proud to be an American is a great tribute to those who fight for our country, who have served this country, and continue to protect our borders. It is also great for patriotic 4th of July or Scout pictures. 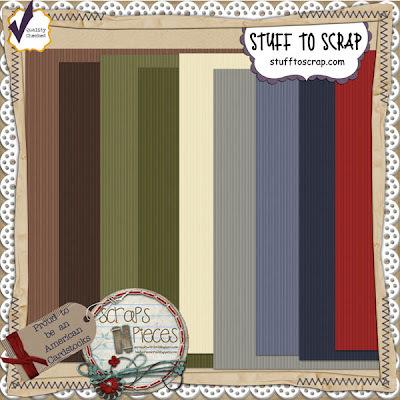 It's available at Stuff to Scrap and is on sale for $2.50 for the 1st week. 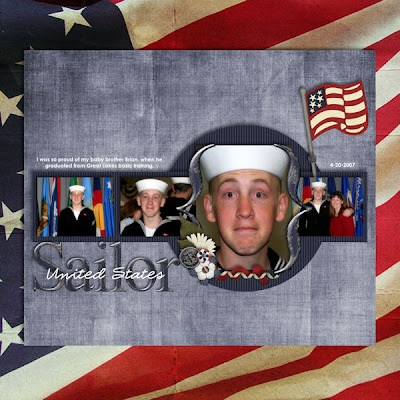 You can get the cardstock free with the kit purchase using coupon code SNPveteran. Product image is linked to the STS store. Layouts are linked to the STS gallery. Just for you, here's a freebie. Click here or image to download. Thank you so much for this post. 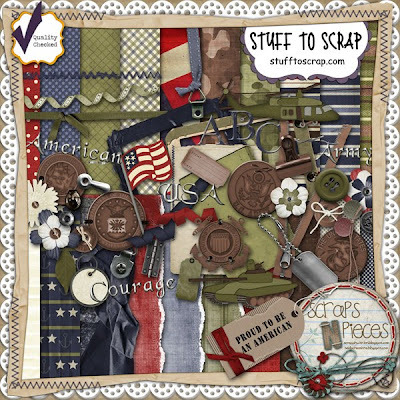 I want to let you know that I posted a link to your blog in CBH Digital Scrapbooking Freebies, under the Page 5 post on Jun. 04, 2011. Thanks again.